Coinbase, a company that houses people’s digital wallets for bitcoin and other cryptocurrencies, has a new way to pay. The service, called Coinbase Commerce, “enables merchants to accept multiple cryptocurrencies” so funds arrive directly in their own wallets. 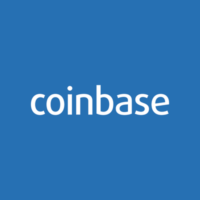 It can be integrated straight into their own online checkout processes, Coinbase said in a blog post Wednesday. Bitcoin rose to prominence as a digital currency, but many today are cautious since its value has been highly volatile, transaction times are slow, transaction fees have been increasing, and many people bought cryptocurrencies not to spend it but to hang on in hopes its worth would continue to skyrocket. “Bitcoin has evolved to become better-suited to being an asset than being a means of exchange… This has led to Bitcoin becoming less useful for payments,” payment processor Stripe said in January of its decision to stop accepting bitcoin payments.